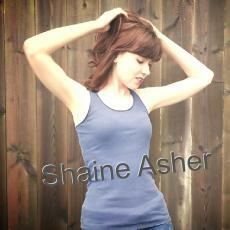 If you've lived a hard life, and you've seen it all, you'd understand why Shaine is the way she is. Facing trauma, and robbed of her innocent mind at a young age. Relying on strangers her entire life, and then coming to the realization she is a stranger to herself. Scared and lost, she is thrown into a psychiatric turn of events, that clearly get a lot worse before they seem to start to get better. How much can she take before she calls it quits? "Be your own damn hero".